HOME >> COMMUNITY >> HELP A FIREFLY FAN >> HELP! sorry to posts this again in this section, but i'm new and still getting the hang of the different parts of the forum. I was wondering if anybody could help me with something. 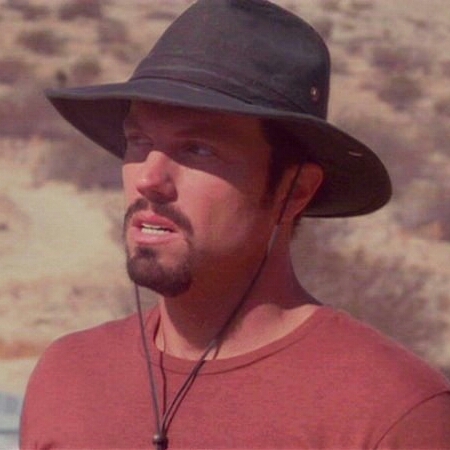 In War Stories, Jayne is wearing a hat that looks like a cowboy hat, but its not like the one he wore at the beginning of Our Mrs. Reynolds. Does anybody know what kind of hat it is and where I can get one exactly like it? Are you asking about the OMR hat? I didn't realize they were different hats until you posted. This one looks close. They make lots of movie replica hats. I bet you contact them and they would help you find a match. That swede hat is not correct. Not in the War Stories image the 2 dents in the top of the crown -actually you only see one, there will be a twin on the other side. I have one of this type crown, I should look at the name of it. It looks like the Robert Duvall hat from Broken Trail is similar, with the brim curled up on 2 sides, mostly parallel but with a slight inward angle towards the front. The crown has a center dimple with a ridge on each side. The Duvall Free Grazer also has 2 dents, but the crown center rides up to a rear hump. Another similar hat, kinda looks more like Jayne's, also has 2 dents but the crown has the pinched oval - like a slight dome center and sort of facade/parapet around the perimeter - I have one like this which was named "The Duke." That site calls it King of the Cowboys. It might help to note that brims can be flattened or curled, but to get the crown right the hat often needs to have this done while made - like before the purchase. The brim can be changed to most styles afterward, and will in fact change itself if handled incorrectly, or laid upon it's brim instead of correctly on it's crown. Jayne's WS brim is mostly flat, but with the rain diversion tilts on front and back - thereby keeping rain off the nose or neck/collarbone when tilting the head forward, and keeping rain off the rear neck/collar when the hat is tilted back. This style provides greater shade because of the low hanging front - most hats with a curled or flat front brim will not hang low enough to provide shade, even if they provide snow/sleet/rain protection, so those hats would need to be tilted forward to obtain useful protection. Common brim curls are that it the Broken Trail hat, the 2-curl strictly parallel (often seen by country singer dandies), the single curl or single fold up (flat & vertical) on either one side or the front, 2 curl front and back (often seen on miners, like gold miners, who need to keep the sunlight on their work, no shade on the siftings), 2-curl triangle, where the 2 sides effectively meet at the front, and the 3-curl triangle, such as with the revolutionary war times. Other things to note include the string/lanyard under Jayne's chin. It appears to come out at the base/brim (band) and you can see it also going around the front side of the hat band. This is oft used by dandies and children who want to play cowboy. This hole in the base of the band will get all your rain/snow pouring on your ears, going right down your neck into your collar. Most film hats have the lanyard holes farther out in the brim, away from the band, or else not through the brim but outside of the brim's curls and over the top of the crown - which is a removable lanyard not used for non-windy activities, but put on for windy times. If you are getting Jayne's WS style, either get one made with the holes for the lanyard, or have the hat maker make the holes for you in the position you want - it's not best to make your own holes unless you don't want the hat to last long.